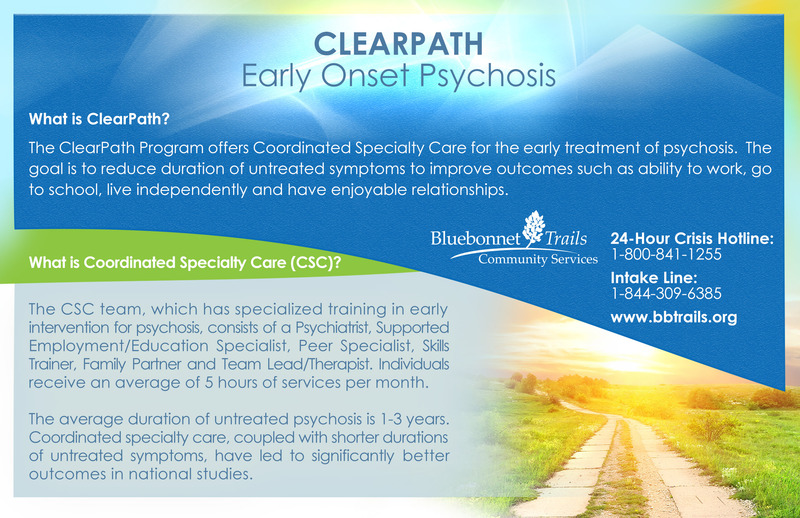 The ClearPath Program offers Coordinated Specialty Care for the early treatment of psychosis. The goal is to reduce duration of untreated symptoms to improve outcomes such as ability to work, go to school, live independently and have enjoyable relationships. What is Coordinated Specialty Care? The CSC team, which has specialized training in early intervention for psychosis, consists of a Psychiatrist, Supported Employment/Education Specialist, Peer Specialist, Skills Trainer, Family Partner and Team Lead/Therapist. Individuals receive an average of 5 hours of services per month. 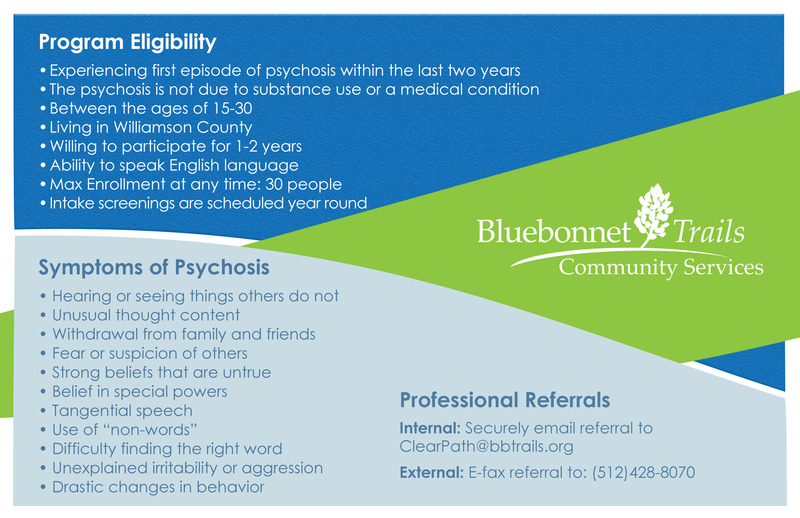 The average duration of untreated psychosis is 1-3 years. Coordinated specialty care, coupled with shorter durations of untreated symptoms, have led to significantly better outcomes in national studies.